Library Street Collective at Ritz Carleton — Cody Hudson / Struggle Inc. 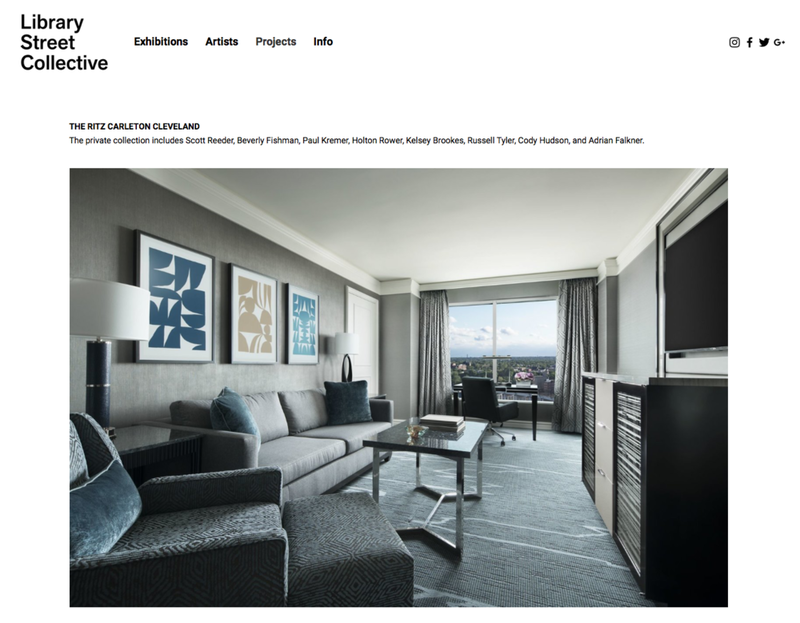 Some recent works of mine placed in the Ritz Carleton Cleveland by Library Street Collective. The private collection includes work by Scott Reeder, Beverly Fishman, Paul Kremer, Holton Rower, Kelsey Brookes, Russell Tyler, Cody Hudson, and Adrian Falkner.